The Papertrey Ink blog hop for August caught my attention immediately. I haven't joined in the hop in months and months, but I wasn't about to pass this one up. I created a very simple card using golds, silvers, and pinks. 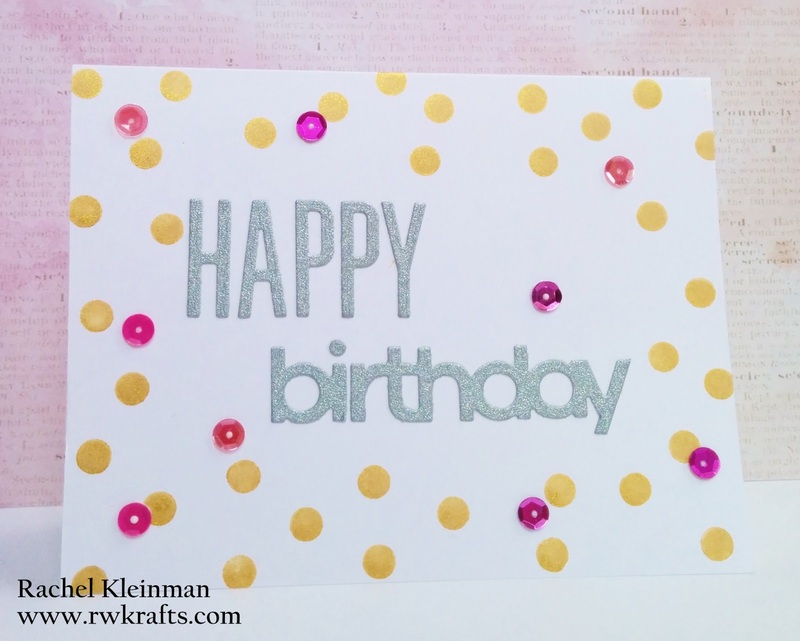 I used a single small polka dot stamp from Papertrey Ink "Polka Dot Basics" and stamped it randomly in Delicata gold ink. 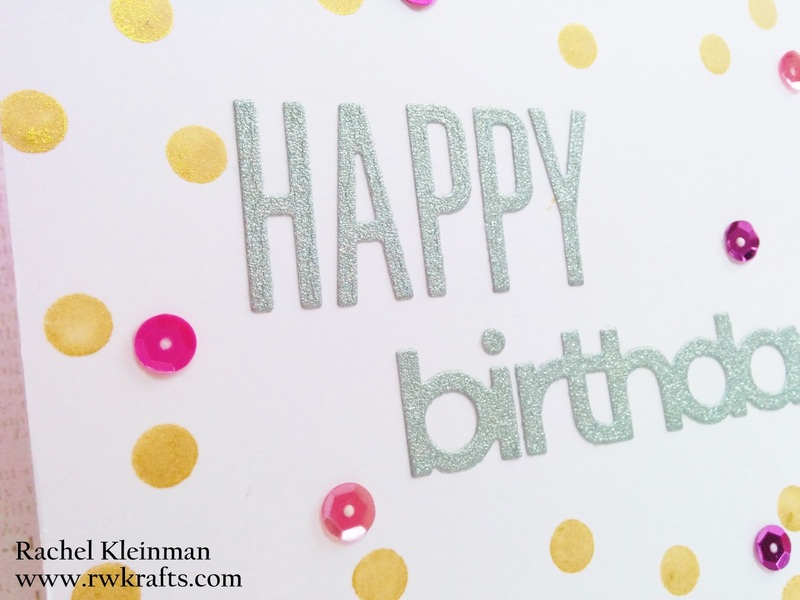 The sentiment was die cut from DCWV silver glitter paper using PTI dies "Headline Alphabet" and "Birthday Trio". To get just a bit of pink in there, I added these fun sequins from Doodlebug. Keeping this one short and simple today, there's lots to get done! Happy Monday! 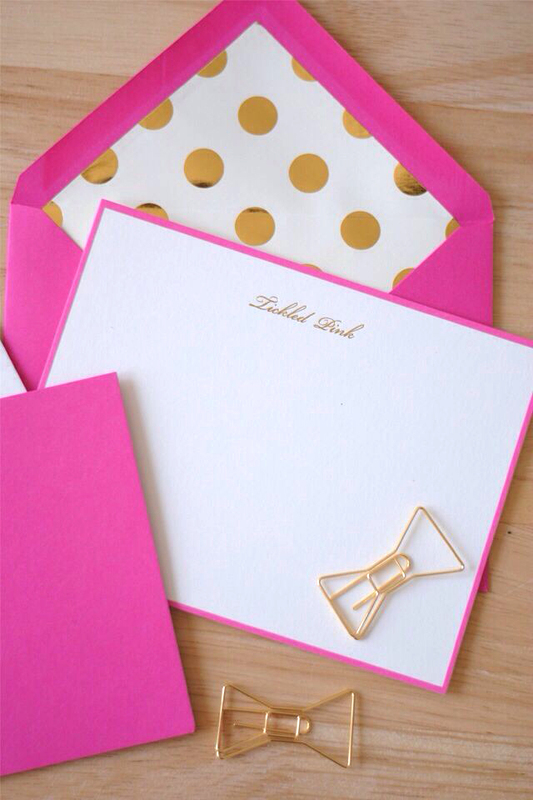 Love the gold embossed dots and pink sequins! Terrific take on the inspiration! Beautiful combination of elements. So sweet! Pretty card!! Love the color combo!! Love the polka dots with the sequins - so creative. Very pretty card.